In mid February, tens of thousands of bird watchers in the United States and Canada will team together to conduct the Great Backyard Bird Count (GBBC). Jointly sponsored by the Cornell University Lab of Ornithology, the National Audubon Society and the Bird Studies of Canada, the Great Backyard Bird count is in its sixteenth year. In 2013, the program was opened globally. 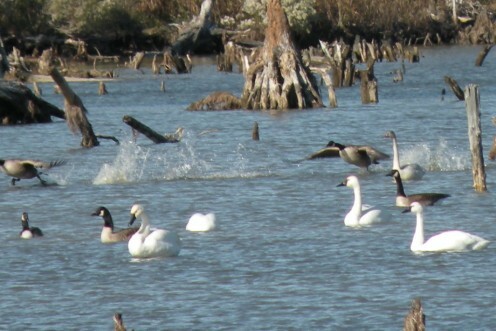 Anyone from expert birders to novices can join in the fun by watching a particular area for 15 minutes on one or all of the days of the bird count. They then enter their observations into the data base at their website (See link at bottom of article). In 2012, participants from the United States and Canada reported 17.4 million bird observations into the Great Backyard Bird Count data base.This year, with the GBBC opened to global participation, there will be many times that number of observations. Novice birders are encouraged to participate in the bird count, but there are some preparations that will help see more birds and gather more accurate data. Participants in the bird count range from individuals watching their backyard feeders to serious birdwatchers on tours to National Wildlife Refuges and well-known birding areas. Many school children are getting in on the fun by studying local birds, going on field trips to local parks and participating in the bird count. Important data also comes from the backyard birdwatcher for which this event is named. 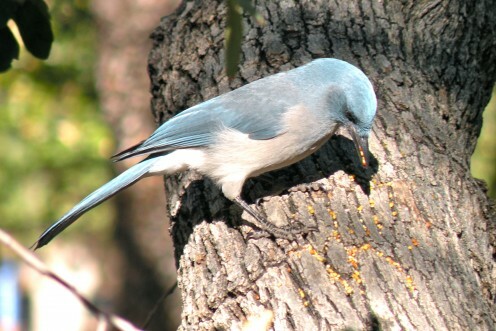 They are in perfect position to gather information as they often have many winter visitors to backyard bird feeders. The Great Backyard Bird Count website gives tips on how to attract and identify birds that visit your bird feeder. Check the official website (How to Participate in the GBBC) for tips on how to attract more birds and how to count the birds. There will also be lists available of birds you are likely to see in your region that you can print out to make identification easier. 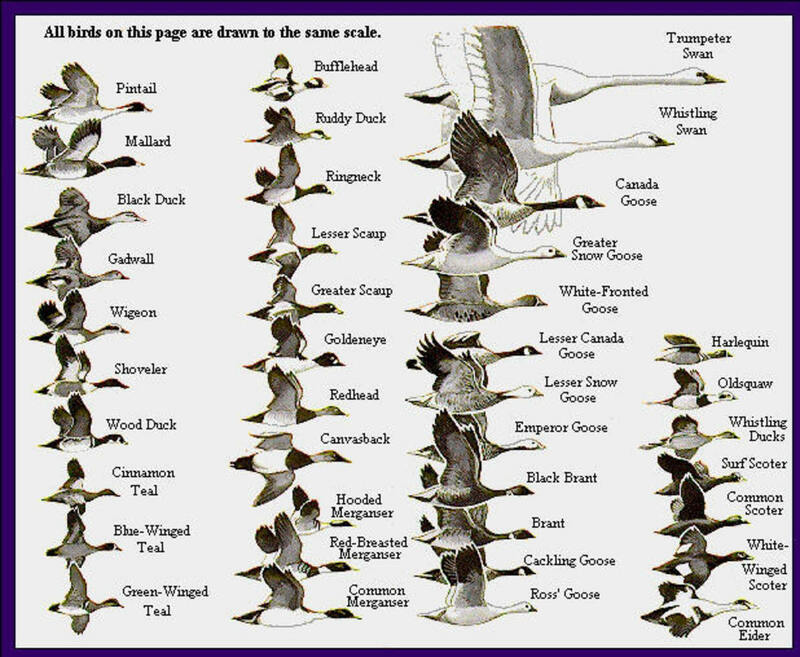 Bird guide - Be sure to have a good bird book to look up unfamiliar birds. Camera - you may just get the perfect shot for the contest! Binoculars - Do have a pair of binoculars that you can use to check on details. When: Feb. 14-17, 2014 for any 15 minute period on one day or each day during the count. Who Can Participate: Anyone from beginning birders to experts worldwide can participate. Where: Anywhere in the U.S. or Canada. 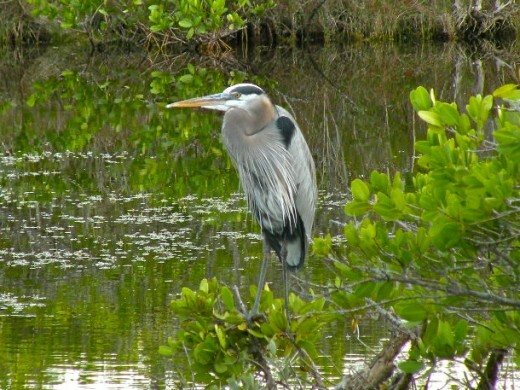 This can be your backyard, neighborhood park or a National Wildlife Refuge near you. How to Report Your Bird Count: Check the website first for tips on how to collect information. 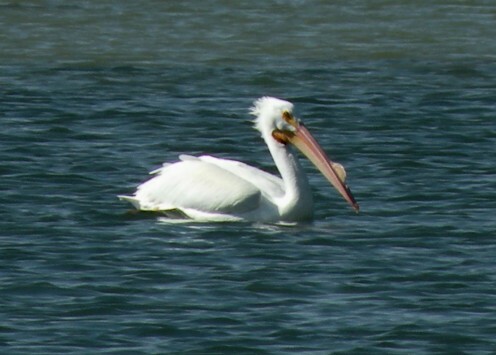 After your count, enter observations on the official website: The Great Backyard Bird Count (http://www.birdcount.org). Take photos during the Great Backyard Bird Count and submit your best shots of birds or birdwatchers. 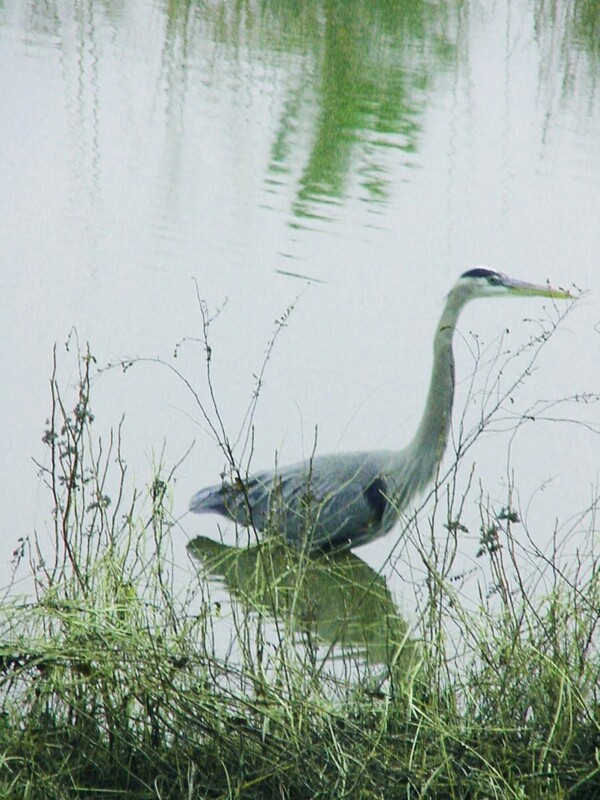 Photographs should be in high resolution and must be taken during the bird count period, February 14-17, 2014. 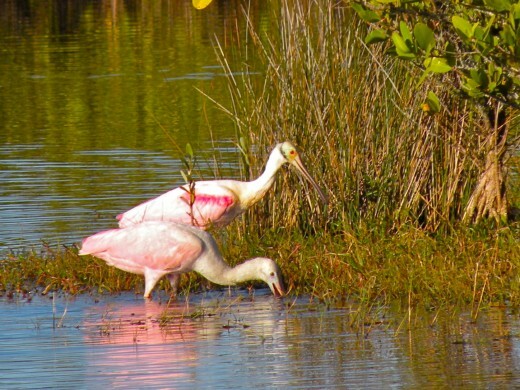 Will you join the bird count? Yes, I participate each year. No, but I will participate this year. It sounds like fun, I will plan to participate next year. As a Thank You to participants in the bird count, sponsors are giving away prizes to anyone who enters their count and anyone who participates in the Great Backyard Bird Count will be automatically entered into prize drawings. Prizes include bird books, feeders, binoculars and many other bird related items donated by interested organizations and sponsors. Missed the Great Backyard Bird Count? You can still contribute useful data through eBird. Cornell Lab of Ornithology and National Audubon Society have set up a method for birdwatchers to report observations that can be used by ornithologists and scientists to study birds, bird distribution and habits. Click on the eBird link here for more information. Thre Great Backyard Bird Count is now global! The Great Backyard Bird Count - Get birdwatching tips, instructions for participating in the bird count and enter your data here: http://www.birdcount.org. 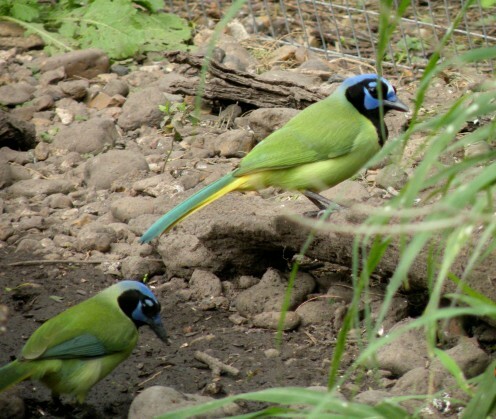 The Cornell Lab of Ornithology - dedicated to interpreting and conserving the earth’s biological diversity through research, education, and citizen science focused on birds. Visit the Cornell Lab’s website at www.birds.cornell.edu . 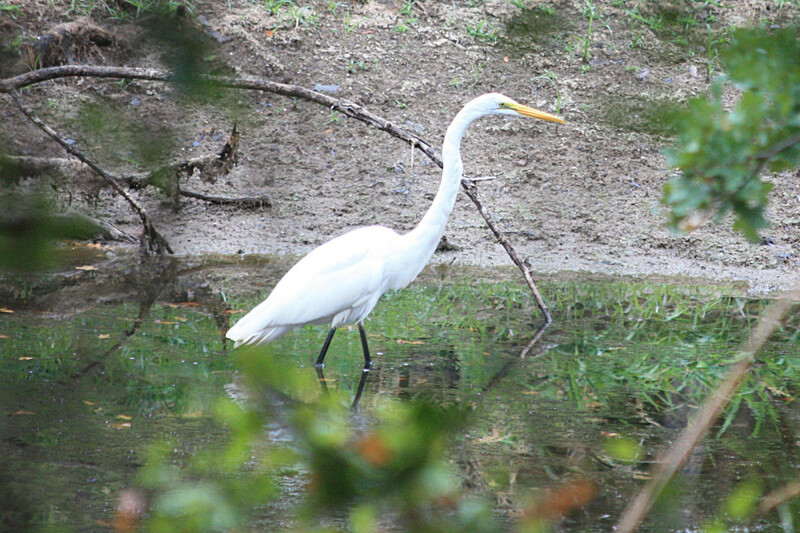 This article is about bird watching in our own backyard. 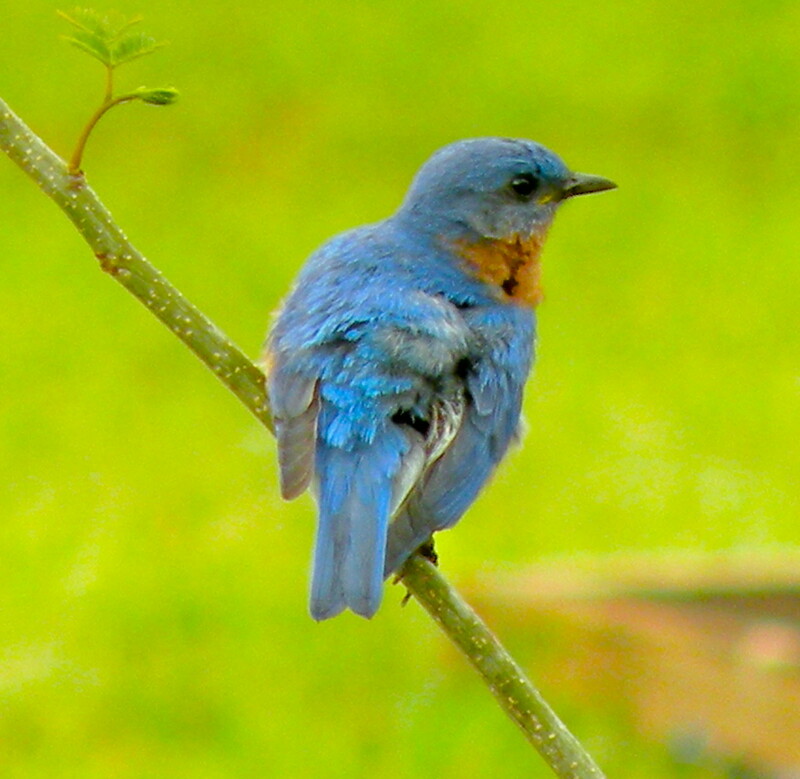 Having bluebird houses near our backyard where they are easily seen from our kitchen windows, gives us the opportunity to watch the bluebirds' behavior as they build their nest and begin their family. I do love watching birds in my backyard and in our travels, and I especially like catching them on camera. While I'm not as dedicated a bird watcher as some of my friends, I do think that the Great Backyard Bird Count is a terrific program. Thanks for your comments and votes! Stephie-I am SO happy to see this hub. I've been wanting to write one ever since I joined this organization three years ago. This is absolutely wonderful! 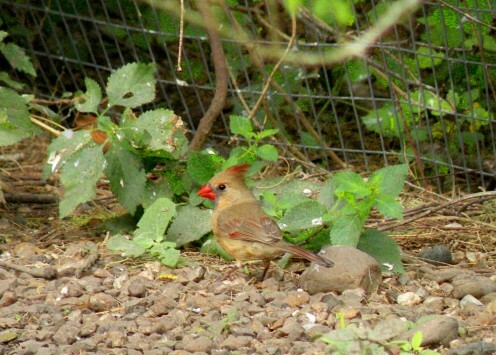 what a sweet photo of that female cardinal. Anyway-voted up and across. Thanks! We too are excited when we see an unusual bird in our backyard, and often run for our field guides to be sure we're identifying it correctly. How interesting to see a snow bunting in your backyard! I still have a lot to learn about birds, and I'm not sure if I've seen one or not. It is fun learning, though! Thanks for stopping in to comment! 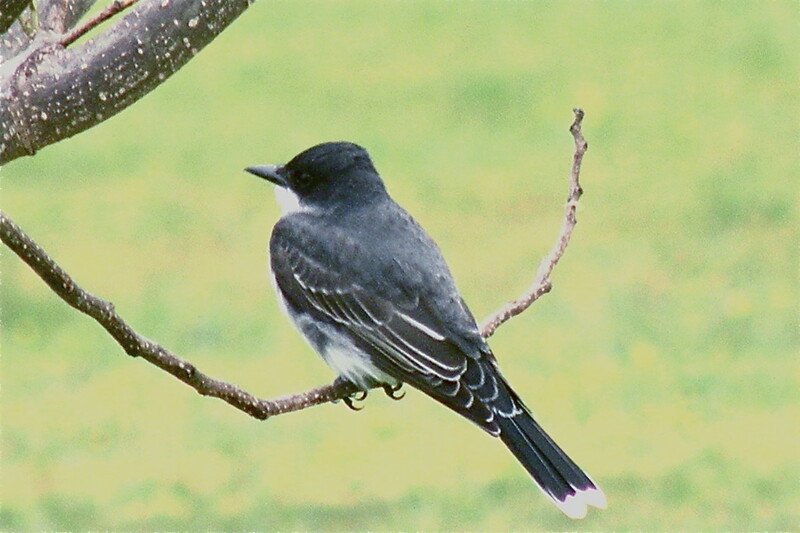 The backyard birdcount is a lot of fun for birders as well as people who are just becoming interested in bird watching. Your pictures are awesome! Of all the birds I've ever seen, I get so much more excited when I see something I've never seen before in my own back yard. Last winter, we spotted a snow bunting in the yard - funny thing was, we went on a day trip out looking for one and there it was right in our own back yard. SgBrown - These hubs do seem to complement each other -- I am adding a link to your Bird Photography hub to this one also! Alocsin - The Great Backyard Bird Count is a fun activity for anyone interested in watching birds and observing their behavior. It is surprising how many birds there are even in dry desert-like climates, though you might have to look harder to find them. I wish I'd known about this, it would've been a fun activity. But having said that, here in Southern California, we probably don't get as many birds in our dry climate. Voting this Up and Interesting. mljdgulley354 - It does take time and patience to get good photographs of birds. I know that I've spent many hours waiting for them to get into the right spot for a photo op! Stephanie this was great information. I enjoy feeding and watching the birds in my back yard but it sure takes patience to get a picture. donnaisabella - If you like to photograph birds, you should give the photo contest a try! It does sound like fun. Good luck with it, and thanks for stopping in to read and comment. Very interesting. 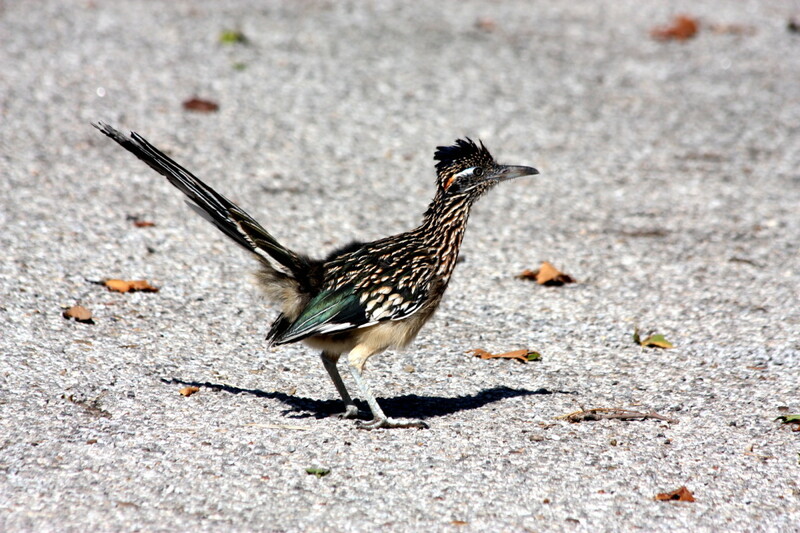 I am always following birds around my yard and in the neighborhood with cameras and video recorders! I love them and this sounds like something I would enjoy doing, the only problem is I am not sure how good my camera is for the high resolution photos required. Thanks for the information. Hi Bob, From photographs I've seen of beautiful English gardens, I imagine there are also lots of birds. I think it's a great idea to let wild grasses and weeds grow in some places as some birds need a very specific habitat to survive. Thanks for stopping in to comment! 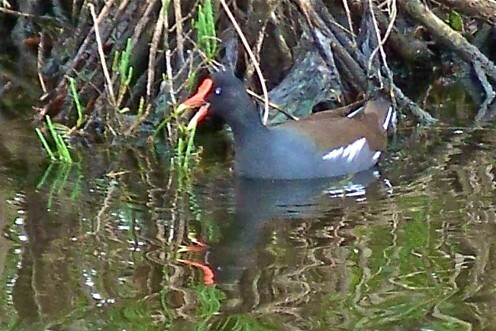 Hi Moonlake, If you're a birdwatcher, you should definitely participate in the Great Backyard Bird Count! Check out their website - they have great bird photos and even links to bird calls! I'll check out yoru birds on Hubpages! Thanks for stopping in to comment. Hi We have ths now, too, in the UK. Also, people are being encouraged to leave part of their gardens to grow wild and add grasses and seed bearing wildflowers for birds, bees and butterflies, etc. This a nation of gardeners so a lot of interest is in all this.